Package Includes: 1x 8" Double Deck Organizer Box. 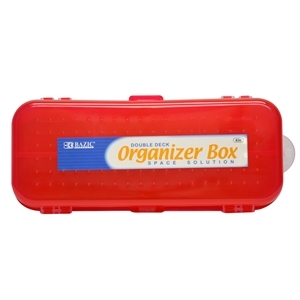 Double Deck Organizer Box is multifunctional organizer utilities. Inside this double deck storage are five compartments. Perfect for organizing office and craft supplies. Latch closure keeps content secure.